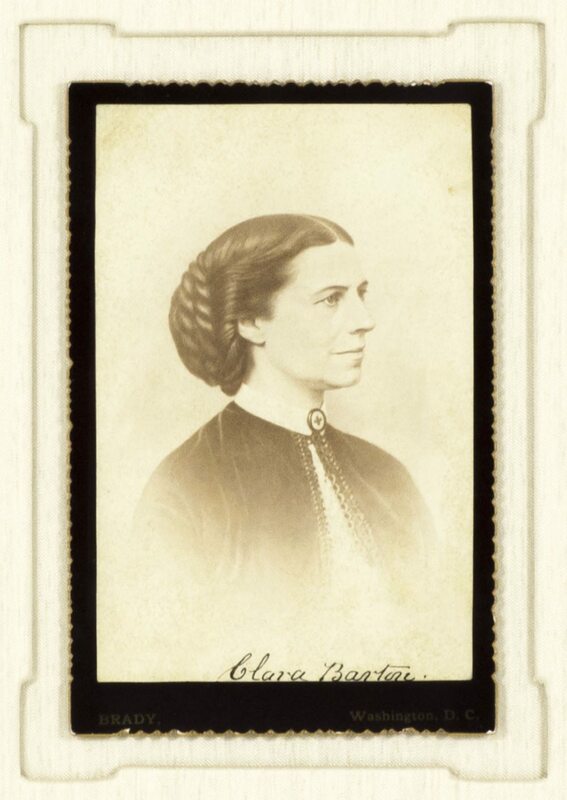 Signed photograph of Clara Barton wearing a Red Cross collar pin, boldly signed by Clara Barton. 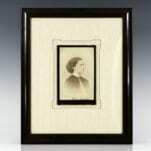 Published by Mathew Brady of Washington, D.C. Matted and framed. The photograph measures 4.25 inches by 6.5 inches. The entire piece measures 12 inches by 14.75 inches. In fine condition. 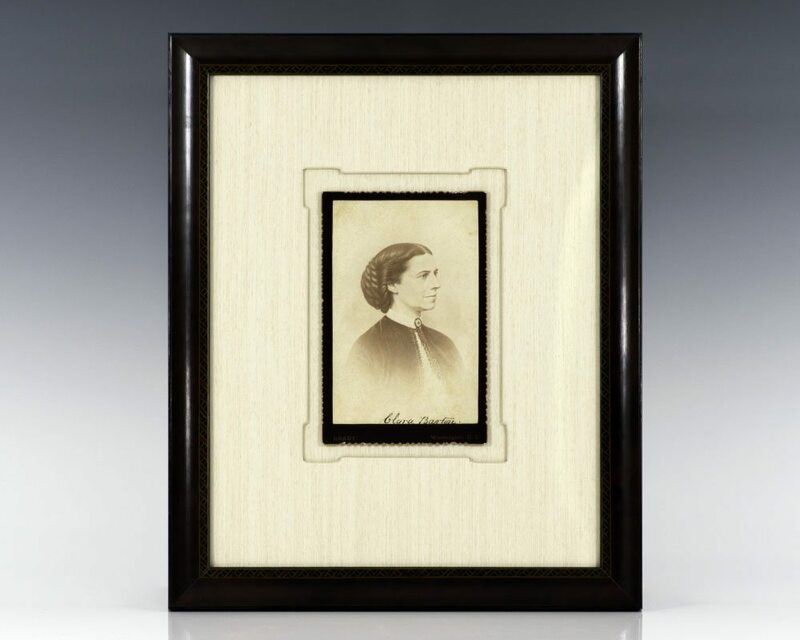 Photographs signed by Clara Barton are rare. Clara Barton was a pioneering nurse who founded the American Red Cross. 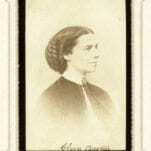 She was a hospital nurse in the American Civil War, a teacher, and patent clerk. Nursing education was not very formalized at that time and Clara did not attend nursing school. So she provided self-taught nursing care. Barton is noteworthy for doing humanitarian work at a time when relatively few women worked outside the home. “The Red Cross as it is known today is largely as Barton defined and developed it… The most decorated woman in America, she counted the Iron Cross, the Cross of Imperial Russia, and the International Red Cross Medal among her trophies yet… in 1899 a campaign began in earnest to unseat her from the Red Cross presidency. Barton fought back stubbornly, enduring devastating personal attacks and focusing her energy on creating a final humanitarian gift: the concept of first aid, which culminated in the founding of the National First Aid Society” (ANB). 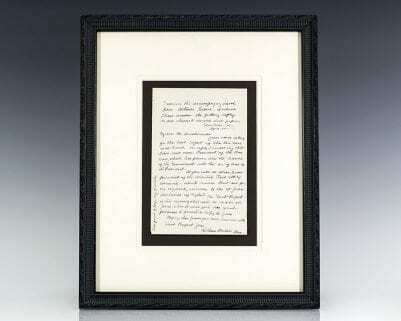 Clara Barton Autographed Signed Letter. Autograph letter signed by Clara Barton. The letter, addressed to a Mrs. Renel on the verso, transmits the text of a reply she has mailed to correspondent in Athens, Greece, “My dear Mr. Denetriaralis, Your card asking for the last report of the Red Cross is at hand. In reply I would say that I am not now President of the Red Cross, which has passed into the hands of the Government, with the Sec. of War as its President. As you will see above, I am president of the National First Aid of America – which means First aid for the injured…” She signs the letter, Clara Barton, Pres. The letter measures 8.25 inches by 5.5 inches. Matted and framed.